Written in an accessible, topical style, this engrossing study covers subjects that continue to influence the church and society today. The chapters are thematically organized and include such diverse topics as defining faith, Monasticism, Papacy, Reformation, Islam and Christianity, Faith and Reason, and Ecumenism. Key figures are also introduced, including Paul, Justin Martyr, Augustine, Francis of Assisi, Aquinas, Luther, Moody, Barth, C.S. Lewis, and Billy Graham. 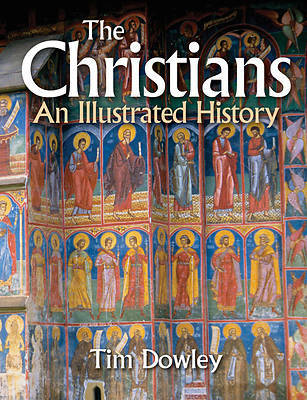 International in scope and strikingly illustrated, it will fascinate both Christians and general readers alike.